Raynor Overhead Doors – Time to Insulate! It seems the brutal winter temps are already upon us and are showing no sign of backing down. Our main concern this winter is keeping your residential or commercial area protected from the below-freezing temps through insulated and energy efficient overhead doors. 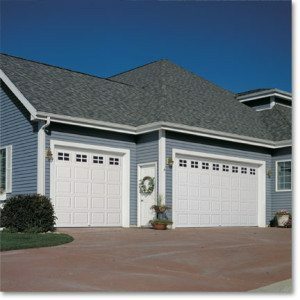 In most residential areas, garages are connected and sometimes adjacent to living spaces such as living rooms or bedrooms. This is when you’d definitely want to look into insulating your garage door in order to cut down on cost and being as energy efficient as possible. Insulation will keep those rooms more comfortable especially in a climate with extreme winter temperatures such as ours. When it comes to commercial doors on any stand-alone structure, insulation isn’t necessarily a necessity unless you’re storing materials or equipment that cannot withstand the harsh winter temps. Depending on what you keep in your storage spaces will determine what kind of insulation options are best fit for your structure. 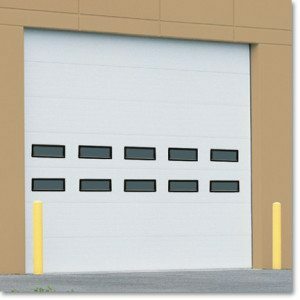 As an authorized dealer of Raynor overhead doors, we offer an entire energy and thermal efficient line of doors for both residential and commercial buildings. These lines include the Innovations Series (residential), TC Series, ThermaSeal, TH160, and TC200 (commercial). All these products contain polystyrene or polyurethane foam that promotes unsurpassed energy efficiency and maximum thermal protection. If you’re looking into options on insulating your overhead door this winter, contact FS Construction Services today at 866-551-3454. We offer a wide range of products and services for energy efficient doors and we’ll help you find the best fit for all your insulation needs. Winter is knocking on the door, which means it’s time to be inside and caught up on all my articles, right? I’ve talked a lot about outside buildings, roofs, house siding and this month in my paint corner, I’ll be talking a little about concrete. Now, most of you probably want to stop reading right here, but concrete shouldn’t be a bad word! I’ll be explaining why concrete can actually be fun to work with and why painting concrete isn’t as bad as you’d think. Paint is the least expensive and easiest way to transform bare concrete into something with character and personality for your residential or commercial area. 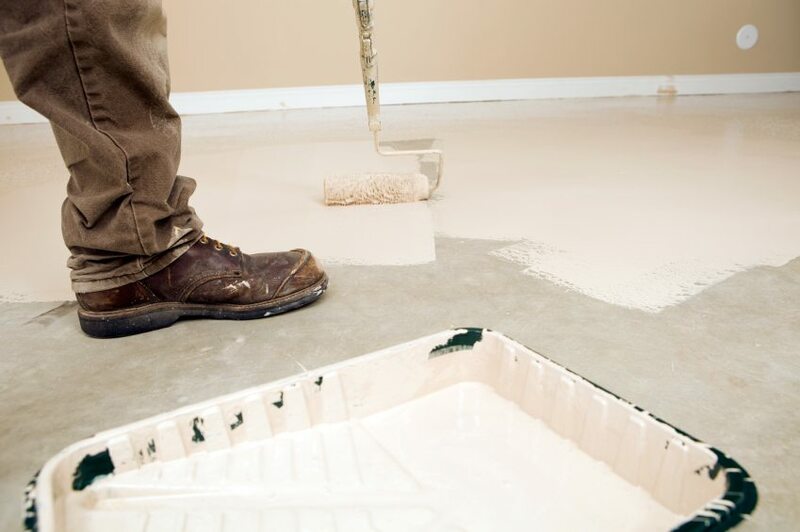 Concrete is a very porous material, so you’ll want to use a paint designed specifically to adhere to concrete. Using regular house paint will not work for this kind of surface because of eventual peeling. Water-based stains would be a better option for the job. These are typically a blend of acrylic polymer and pigments that tend to seep into the pores and bond to concrete, becoming a more permanent part of the surface. Water-based stains provide a tough shield and don’t fade, peel or flake like a regular paint. Another great option is cement dyes that are available in water or solvent-based varieties and produce a range from monotone to translucent. Dyes penetrate concrete quickly and leave virtually no residue and no room for error because the application is very quick. Cement stains and dyes are completely safe and very easy to use, and most come in a one-step system, which is commonly a stain and waterproof sealer in one. Now, you know why concrete isn’t as bad as you thought! If you have a job that you would like to receive a free estimate on, feel free to email me at bgarleb@gatewayfs.com or call me at 618-972-9516.